ROMAN EMPIRE. CONSTANS, AD 337-350. 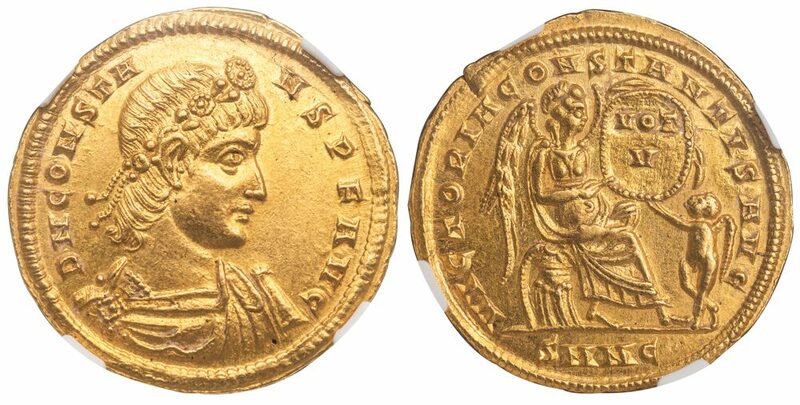 Gold solidus, 4.50 g., 22 mm., minted at Nicomedia, ca. 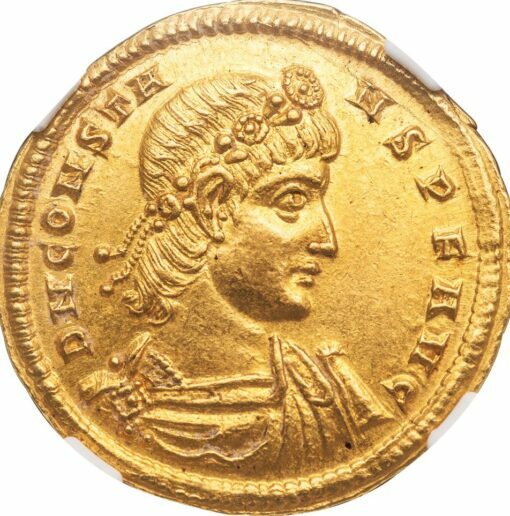 AD 337-340. Obv. D N CONSTA-NS P F AVG, diademed, draped, and cuirassed bust right. Rev. 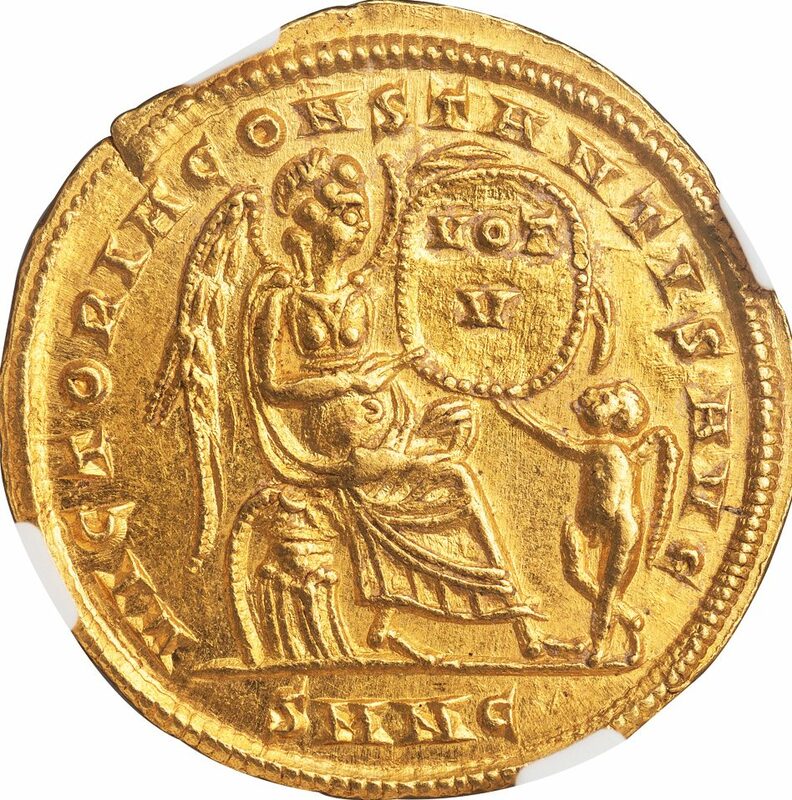 VICTORIA CONSTANTIS AVG, Victory seated right on cuirass, holding shield with inscription VOT V, a small Eros at right, reaches up to support the shield, SMNC (for Nicomedia) in exergue. RIC 2 (R4). Cohen –. Depeyrot –. 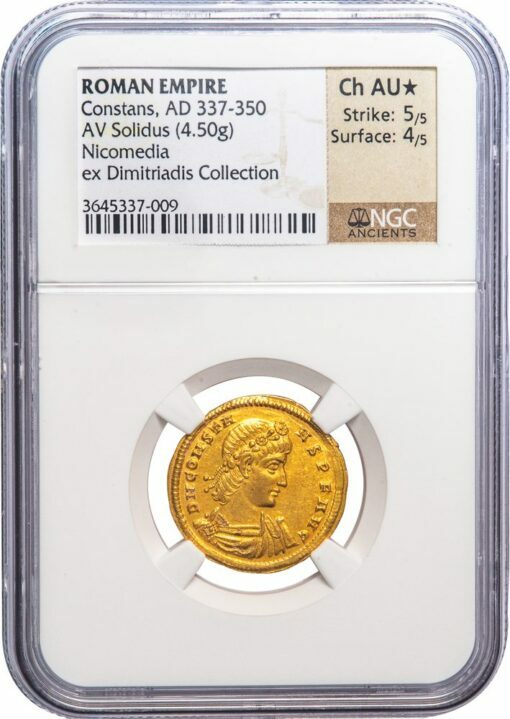 Ex Andre Constantine Dimitriadis Collection (Heritage CICF 3032, 10 April 2014), lot 23662; Dreesmann Collection (Spink London, 13 April 2000), lot 168; Christie’s (London 6 October 1987), lot 457. NGC graded CHOICE AU STAR, Strike 5/5, Surface 4/5.